Our complimentary HIPAA Security Checklist summarizes HIPAA Security Rule requirements that should be implemented by covered entities and business associates. The citations are to 45 CFR § 164.300 et seq. For additional resources concerning Security Rule requirements and compliance assistance, see the Office for Civil Rights (OCR) website. Remember, the Security Rule is subject to periodic amendment. Users should review the current rule requirements on a regular basis to ensure continued compliance. Still unsure about your covered entities compliance? Take this free 5-minute quiz to see how compliant your organization is! Upon completion of this quiz, your results will be emailed instantly along with actions to take (if any) to safeguard your organization against potential compliance issues. Implementing the necessary policies and procedures to ensure compliance is not an easy feat. 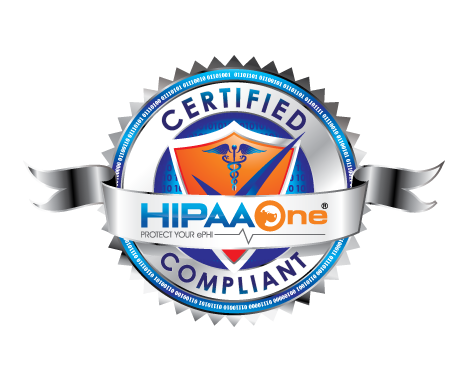 If you’d like an automated solution, the HIPAA One platform can do the heavy lifting work for you. It’s affordable, easy to use, and again, automated. Whether it’s a Security Risk Analysis or Privacy Risk Analysis, find out how we can help by clicking here.